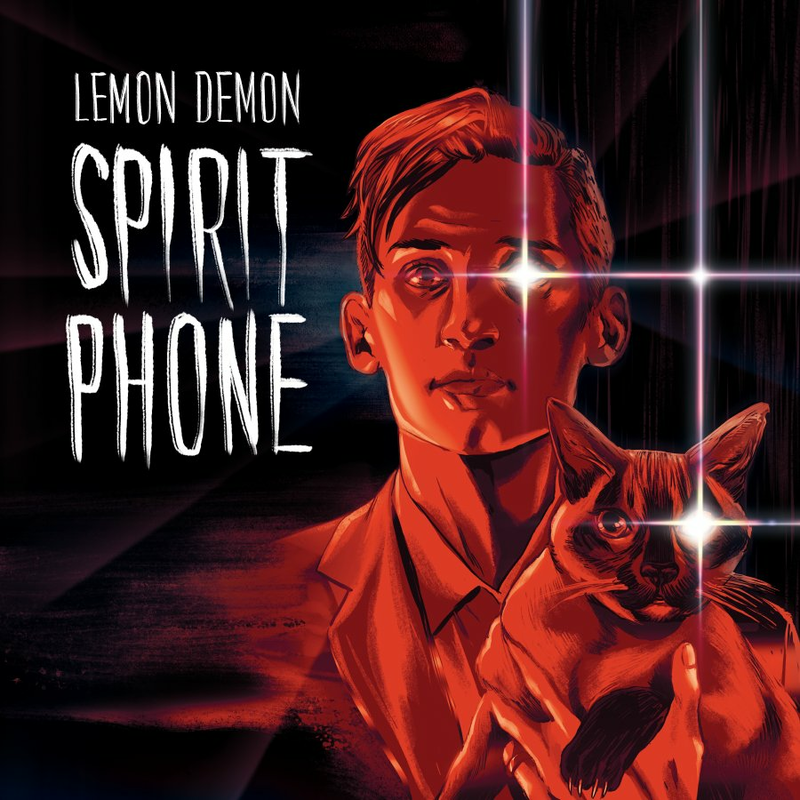 Needlejuice Records is proud to present Lemon Demon’s occult classic on CD, cassette, and 2 colored LP variants. Released digitally in 2016, this is the first time the album has been available on any physical format. Spirit Phone is a collection of 14 deviously catchy pop songs that lightheartedly explore such macabre topics as haunted mansions, confectionery cannibalism, Lovecraftian romance and 1980s economics. Bringing to mind the playfully ghoulish work of new wave acts like Oingo Boingo, the album presents its dark themes with mischievous relish. Anthony Fantano of The Needle Drop included it in his Best of 2016 list with an 8/10 rating, praising its clever lyrics, high energy, and catchy songwriting. Available now, Spirit Phone has been remastered by experimental sound guru Mark Kramer with new original art by Ming Doyle. Along with the 14 tracks that comprise the album proper, side 4 includes 5 bonus tracks. Download card contains full album, all 13 bonus tracks from the original release, and exclusive album commentary by Neil.